Yay, I’ve discovered a blog that combines two of my biggest passions – reading and travelling! 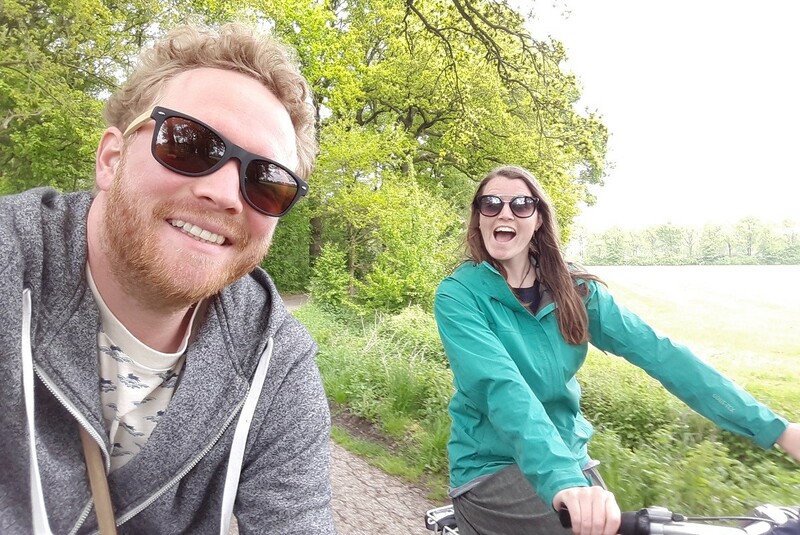 Rohan and Max from Travels of a Bookpacker blog have recently embarked on a dream trip, including a van for home, no deadlines and strict schedules, and a life of freedom. Who are you and what do you dream of? I am a 27 year old New Zealander. For the last 2 years, I have been a primary school teacher in Germany but I am now a full time traveller and blogger. 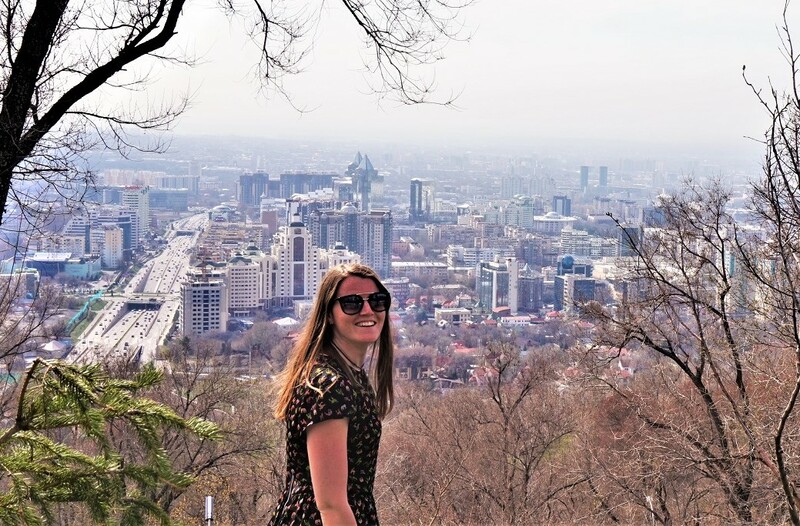 My partner and I both love to meet people so look forward to making friends with locals and hope to spend some time volunteering in communities in our future travels. My dream is to create a lifestyle that means I can travel often. My latest adventure is… In July 2017, my partner and I sold all of our stuff and began our biggest adventure yet. We are travelling by van from Germany to Azerbaijan. We will then sell the van and continue with our backpacks through Iran and Asia. We plan to keep travelling the world until our money runs out! A common misconception about living in a van is… That you need to be the outdoor type. I’m a total city kid and while I’m OK with peeing in the bushes, I also like to have the comfort of a real shower and some wi-fi every few days. We mix up free camping with campgrounds and even AirBnBs to relax and do some washing. 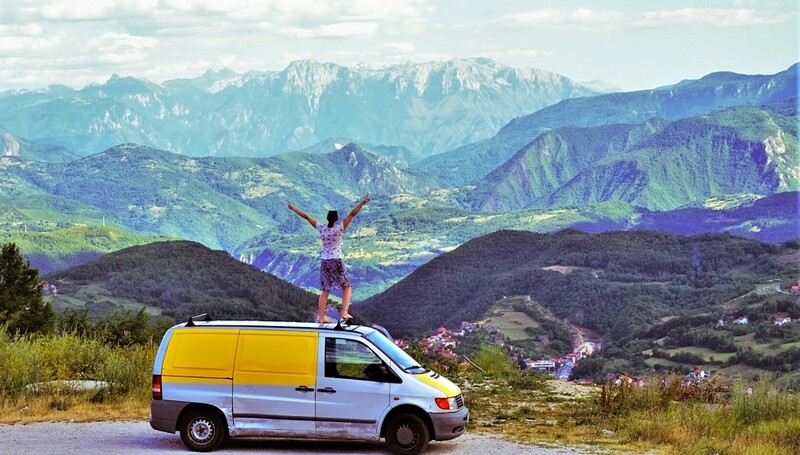 The great thing about van life is that you have the freedom to choose! The first thing I do when I arrive at a new destination is… crack open a beer! Whether we’ve been in the hot van all day or just arrived in a new country and need to try the local brew, you can never go wrong with a cold beer! I never travel without… my phone. It’s old and slow but it’s my map, my camera, my clock, my translator, calculator and connection to my friends and family. The strangest thing that ever happened to me on the road was… when Zlatan Ibrahimovic sat next to me at an airport and I had to ask him who he was! Before setting off I always… have a practice pack. I get this from my mother who is chronically organised. A few days before a big trip I like to make sure everything fits into my bag, make lists of the things I need and often cut out some unnecessary items! The trip that changed me… would have to be my first solo travel. At 21, I packed a bag and spent 5 months backpacking Europe alone and ended up living in Edinburgh for 18 months. This trip gave me so much independence and forged my first connections with Europe where I have spent most of my adult life and will continue to return to. The most helpful thing I’ve learned on the road that could be used in everyday life… appreciate your home as much as you do foreign places. I have spent a lot of my adult life away from New Zealand but I have developed a new understanding and love of the place that I will always call home. It’s not perfect but it is one of the best countries on Earth and I plan to spend more time getting to know it next time I’m home! The place that surprised me the most… Kazakhstan. We had very few expectations before travelling here and didn’t know many people who had been. But we were constantly wowed by the architecture, history, affordability and kindness of the people. The place I would come back again and again is… Edinburgh! I’ve spent a total of 2 years living in this amazing city and yet every time I go back I discover something new or have a whole new appreciation for the beauty, vibe and character that make this such an incredible place to be. I will always think of Edinburgh as my second home. The most challenging trip I’ve been on… was to Cuba. This country is beautiful and incredibly interesting but lacks a lot of tourist infrastructure outside of Havana. Travelling independently and on a budget was really challenging. Thankfully, I was not alone and my partner speaks Spanish so we got by. Had I been alone, I don’t think I would have lasted the month! My recipe for turning dreams into reality is… Don’t have dreams, just have plans! If you start telling people you’re going to do something, it’s much more likely you’ll actually do it. I also set myself a date as this makes it so much more real and gets me excited working up to it! If I have to share something inspiring with you, it would be… one of my favourite sayings: ‘never try, never know’. It can be applied to all kinds of situations from trying the odd sounding cocktail at a bar to moving into a van with your partner to travel the world! One travel challenge for everyone reading this… Make an effort to befriend some locals on your next trip, it will entirely change your experience of a place. Whether it’s chatting to a person at the local market, striking up conversation in a bar or staying with some Couchsurfing hosts, most locals are more than happy to chat with you about their hometown and life in their country! Follow Travels of a Bookpacker on facebook, Instagram and Pinterest. 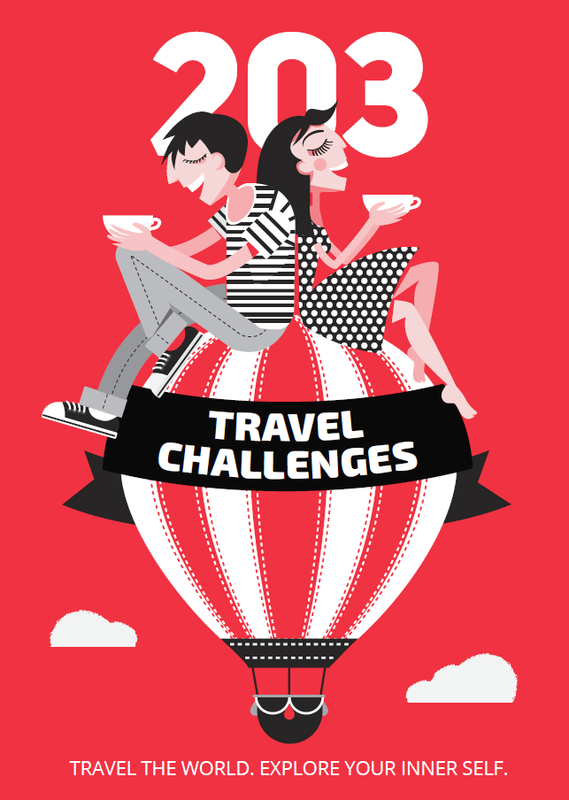 Rohan has recently reviewed “203 Travel Challenges”, so make sure to read her review here.